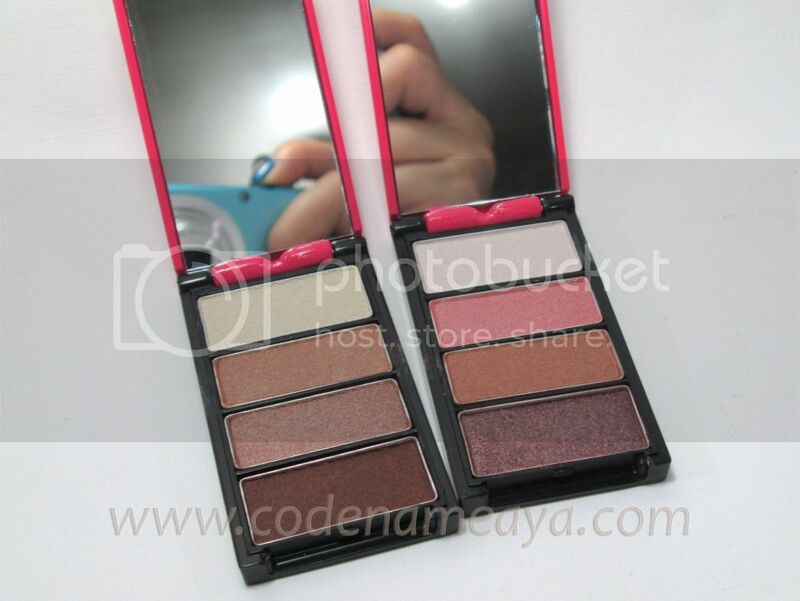 These are two of 4U2 dreamGirl's Reflection Quattro Eyeshadows. 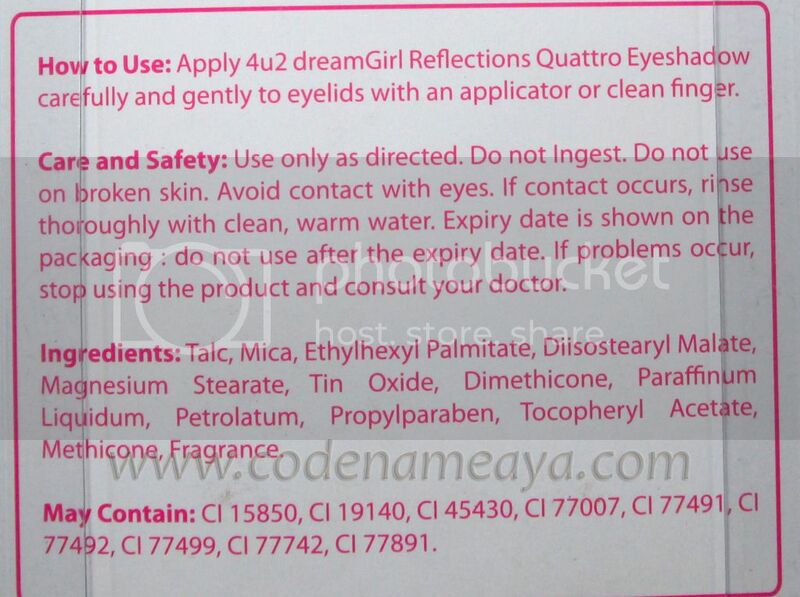 4U2 dreamGirl products are becoming more and more popular na, ah. The cute and girly packaging caught my eye. 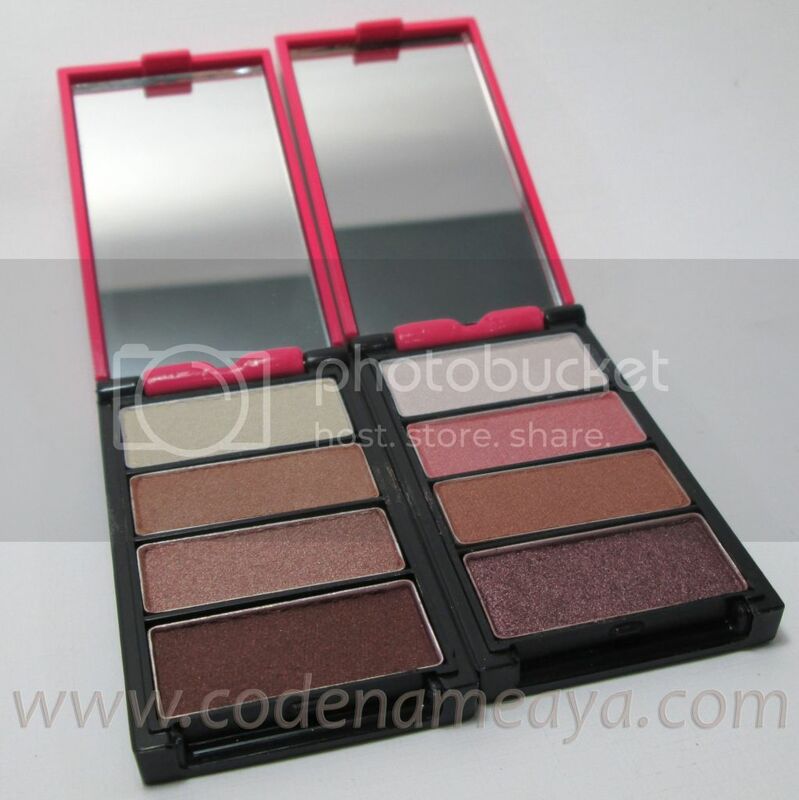 I've tried dreamGirl products before but this is my first time to try their eyeshadows. These ones are in the new packaging, by the way. 4U2 dreamGirl repackaged their products. Their products used to be in black packaging. Now, they're pink. 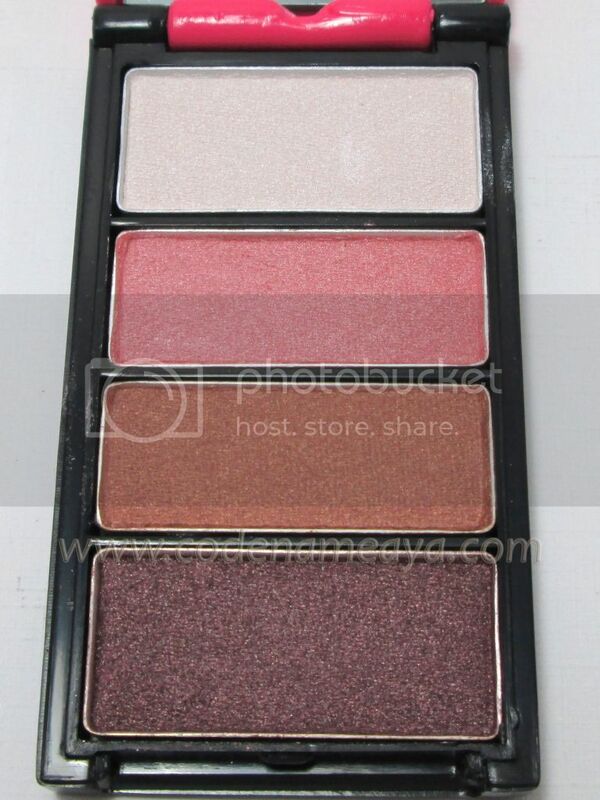 Description (from 4U2): Reflection Quattro Eyeshadow. Fantastic color combos that reflect your mood and dreams. Micro fine for easy on. Long lasting. Be a dreamGirl! DreamGirl is 4U2’s cosmetics and skin care range especially designed for teens, with an independent, self confident yet sensible, attitude – the leader of the pack, so to speak! 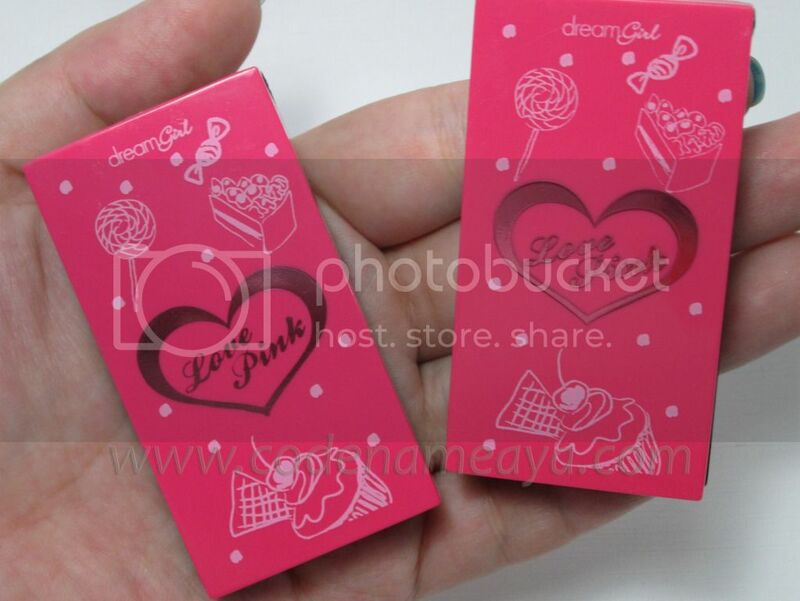 DreamGirl products are teen relevant, of high quality, are affordable and fun – love pink driving the overall product look. I got two of the seven variants available. The packaging is pink and cuter now but I honestly prefer the old black packaging. But I don't hate the Love Pink theme, ha. I actually think it's cute and an eye-catcher. The dreamGirl line is for teens, anyway, so the teenybopper theme actually makes sense. But I think these would be more 'professional-looking' in black like before. I don't know, maybe it's just me. The packaging is not flimsy and it seems sturdy enough. As for the size, they're quite small, making them easy to carry around in my makeup bag. I got 01 (neutral/browns) and 02 (pink-purple). These eyeshadows have a satin finish. They are soft, not chalky and easy to blend on the lids. They're also nicely pigmented. 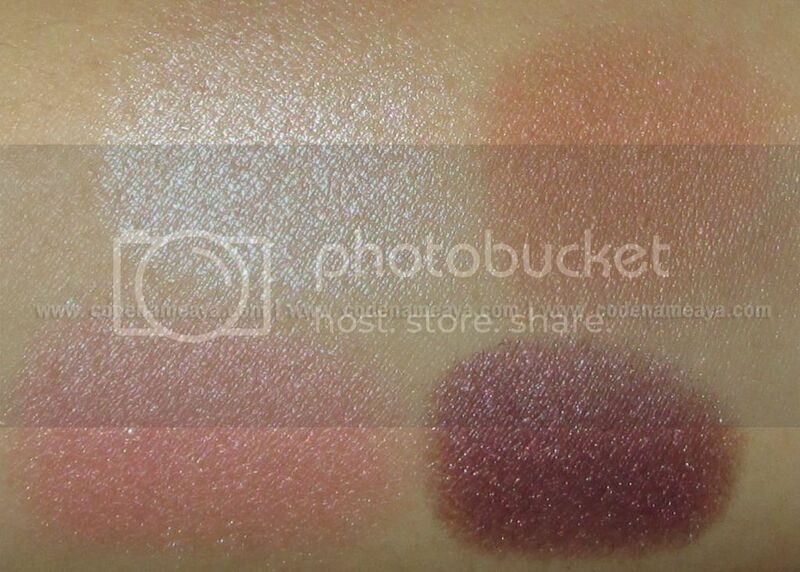 Each quad has a highlighter shade and a dark one - I don't have to carry around other eyeshadows anymore because I can do with just the eyeshadows in the quad alone. Affordable - Priced at 194 PHP. Available at 4U2 dreamGirl counters in SM Department Stores. 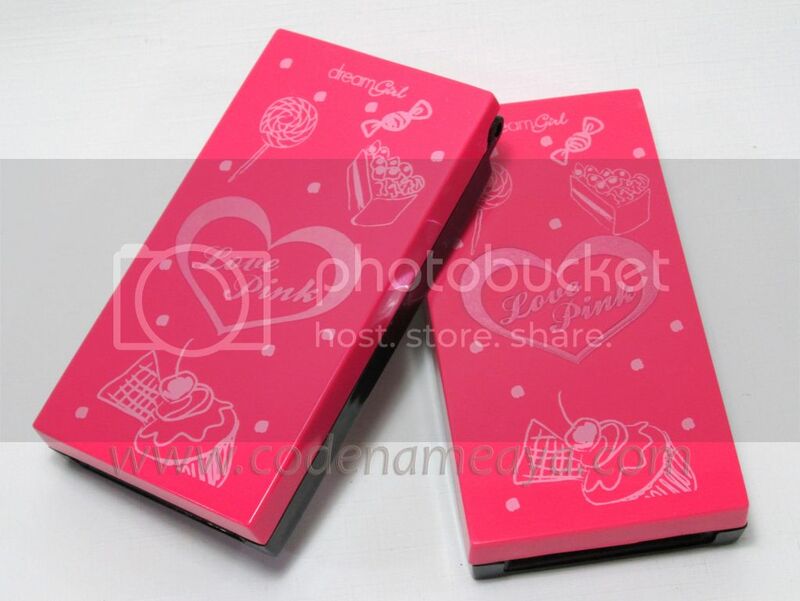 The new packaging theme - (personal preference) Yes, it's cute, and yes, I like pink and girly stuff, and yes, I get that the dreamGirl line's designed for teens, but I prefer the packaging of my makeup to look sleek and professional (if you get what I mean). 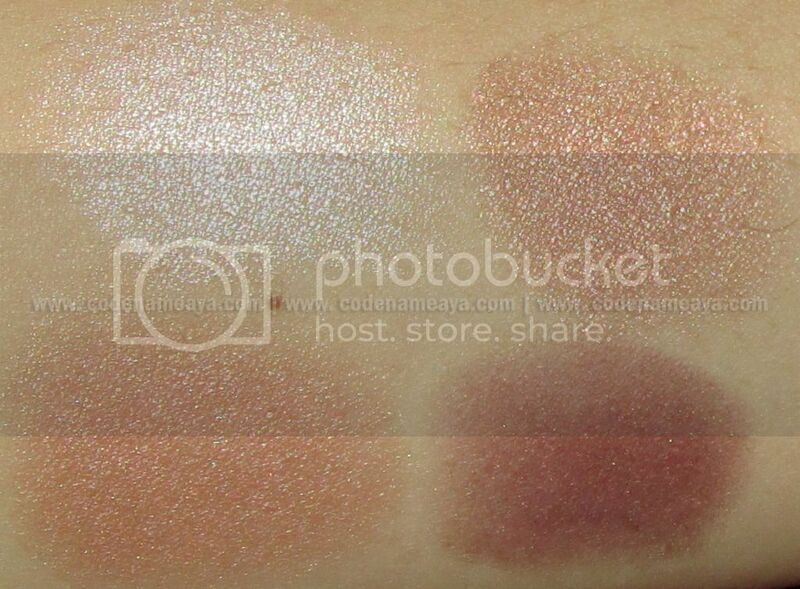 There's nothing much that I don't like about the eyeshadows themselves. I think they're really nice for their price. I do wish they have matte shades too, though. i like the first one. :) hehehe! neutrals kung neutrals lagi. 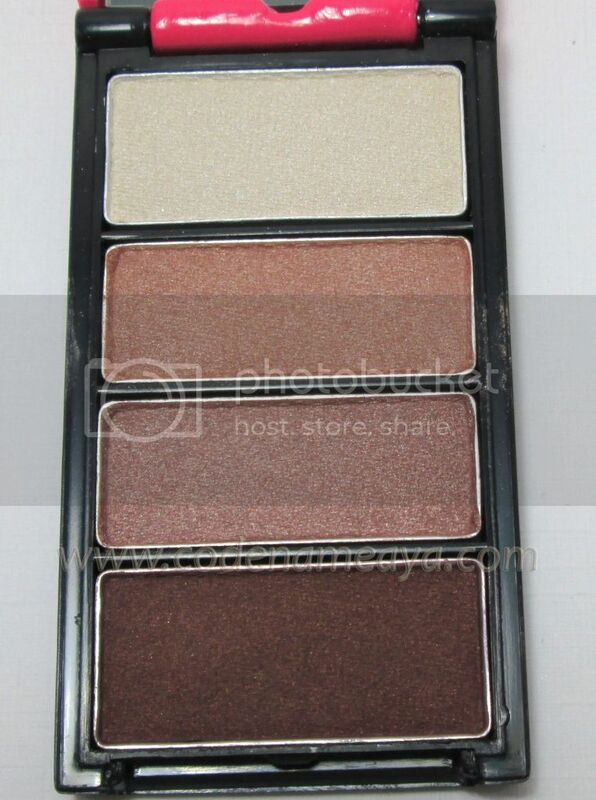 lovely quads, i've also tried just a pair of their shadows and agree, theyre quite nice and pigmented. 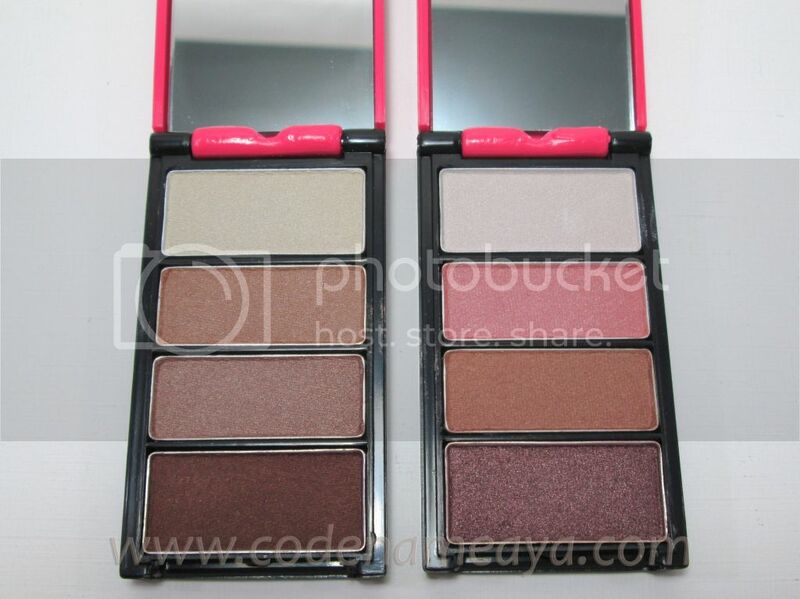 :D im not sure if i would bother buy a palette though bec for the same reason, they look like toys. Great review Aya! 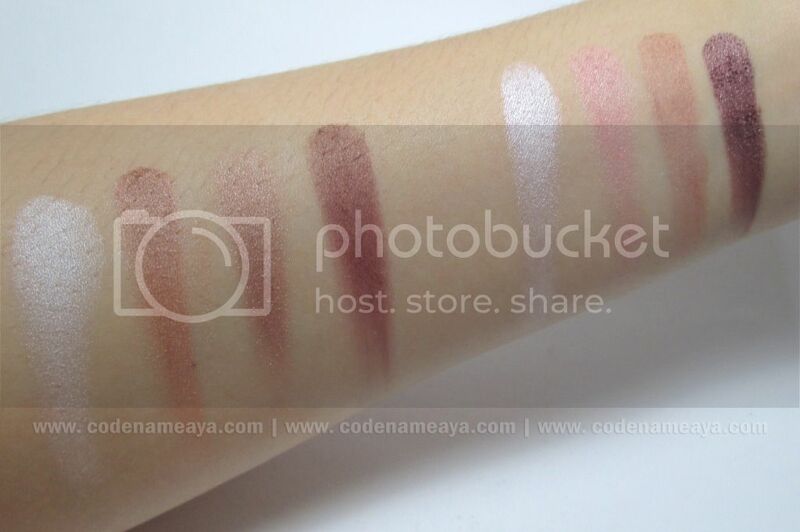 I have yet to finish my nyx eyeshadow palette before jumping into other eyeshadows.. but on the other hand, a girl can never have too many neutrals! Stay pretty! Truelaloo. And I like na it's not all the way pink - may purple and may neutrals din :) Thanks Michelle! I wonder how 01 would compare with wnw walking on eggshells. I mean which would I like better kaya hahaha! Would love to try these eyeshadows!